If you need an exhaust for a renovation project or a custom build then please fill in the form and we will get in touch. 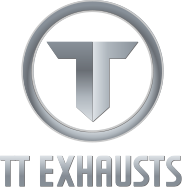 We have the knowledge and experience to talk you through your requirements and together design an exhaust to meet your needs. We can then build it to the highest standard with only the best materials. You will get the custom exhaust you want, if it’s better performance, a bespoke look or different sound you are after then we can help.